Imagine telling your patients you can conduct their MRI in a tranquil meadow, under the ocean, or any location they find relaxing. What do you think they’d say about reading their favorite book during the scan? There’s a chance they’d be much happier about being subjected to the scan. Patient-friendly MRIs aren’t new, but they’ve generally given you poor-quality images. There’s a new generation of machines on the market now, and they offer more room and high-resolution scans. 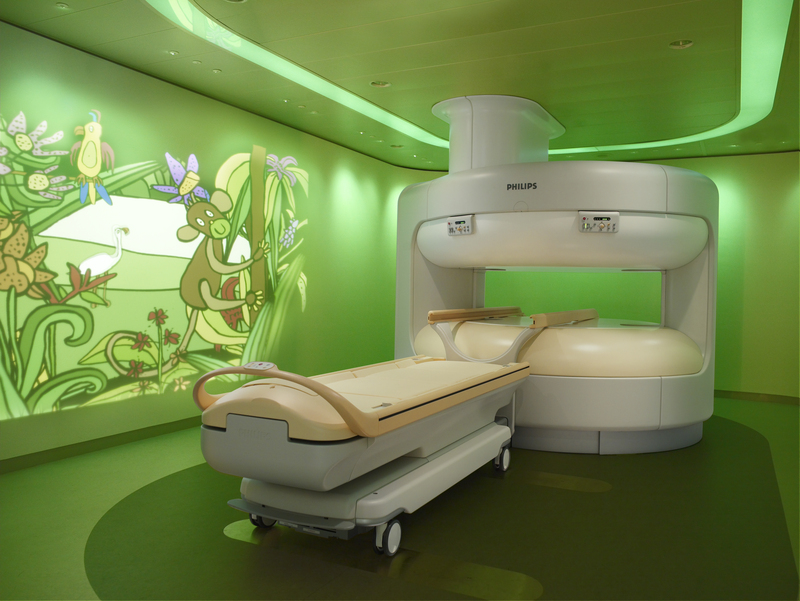 Courtesy of Philips Healthcare: Panaroma High-Field Open MRI with Ambient Experience. There are times, especially if you have athletic patients, when you only need to scan a small body area, such as an ankle or wrist. In those situations, sliding a patient into a traditional MRI machine isn’t your best option, Morrison said, because image quality is poor in those areas. Instead, extremity scanners target particular spots and produce high-quality scans. As an added benefit, it’s cheaper to run extremity scanners than traditional MRI machines, he said.